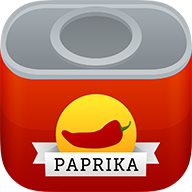 Update: In Paprika 3, available November 2017 for iOS and Mac, pins are persistent and sync between devices. Sorry about that, when we added this feature we only expected it to be used temporarily while cooking. However, due to popular demand, we're planning on updating the app to make the pins more persistent in the future, as well as sync across devices.